Many years of experience have brought us the ability to advise and help locate the car you are looking for. From routine servicing to attending to those niggling problems that most other repairers tend to ignore. 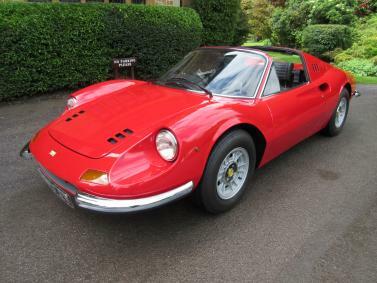 Some of the Ferrari's we've restored and gone on to win cups and trophies at Ferrari Owners Club concours. From sales to service, we pride ourselves on offering the very best experience. All the cars we advertise are fully prepared both mechanically and cosmetically. The attention to detail is something that only a small and dedicated company can offer. Each car like each owner is unique, something we recognise and appreciate. The workshop is our reputation and as such we strive for excellence. We endeavour to rectify all of the problems with your Ferrari, not only the major repairs but those niggling problems that most other repairers tend to ignore. Having sold the 1990 348 ts we would be very keen to acquire another for sale Please call or e-mail Mike or Mark with what you have. Cream hide stitched in red. 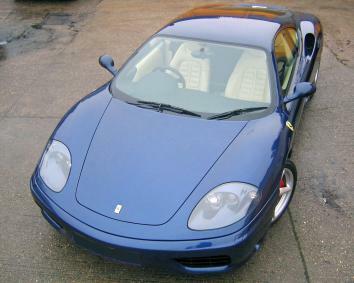 SOLD-ANOTHER REQUIRED Ferrari 550 Maranello -One of five and very last. Ferrari 456 M GTA-19,000 miles! Cream hide with dark red carpets.